Oh dear, I am not going to be very popular with what I am about to say. Because somehow the unwritten rule about movie reviews of the last few years seems to be that you’re not supposed to speak evil about the Coen Brothers: “they can do no wrong” in the eyes of movie critics and cinema lovers everywhere, and even when they do take a misstep, somehow that gets quickly erased from everybody’s memory as if it was only a bad dream (like in the case of Intolerable Cruelty for example, or The Ladykillers). My relationship with the Coen brothers has been one of love and hate throughout the years. I have seen every movie they have made but I have got a few confessions to make: I am one of the few people who thought the last 20 minutes of No Country for Old Men were a bit indulgent (though the previous 100 minutes very so good and cinematically perfect that in the end I forgave them for everything) and I was one of those who thought Burn after reading was just simply idiotic. I am also one of the (apparently) few people who didn’t really get A Serious Man, but having said that I loved The Big Lebowski, Raising Arizona and still think that with Fargo they reached perfection (Oh, I do love that one!). Yet, “True Grit” has very little of the Coen’s finger prints on it: a few cold jokes towards the beginning maybe, some beautiful visuals, but that’s pretty much about it. The movie is a pure and simple Western, just like the ones they used to make in the 50s and 60s, and probably just like the one they have been remaking. “True Grit” was also the 1969 movie for which John Wayne won his only Oscar. Though Ethan Coen said that the film was more a faithful adaptation to the novel with the same title written in 1968 by Charles Portis. But enough history also because I haven’t seen the previous version and I haven’t read the novel, so I am just judging this 2010 “True Grit” on its own merit. For a start, I have some real problem with the main character of the piece: the girl played by Hailee Steinfeld who’s supposed to be 14 and yet somehow speaks and acts like somebody who’s experienced a full life. You’re supposed to take that for granted right from the start, without any real reason behind it, or without being given much background. Well, I just couldn’t quite buy it, and was never quite comfortable with her character throughout the movie. As a result I ended up not caring about her at all. I’m not criticising Hailee Steinfeld’s performance (which was actually rather good), but more the character herself. Then we have Matt Damon whose performance is probably masked by his fake mustaches and the big hat, because it wasn’t very apparent to me. His character (like many others in this movie) is pretty much a one-dimensional one, and even his changes of heart are all so predictable that actually they end up being part of his “one-dimensionality”. Josh Brolin who in the last few years is having the time of his life and is enjoying a great comeback, is in for about 10 minutes, so it’s not even worth talking about him. Same goes for Barry Pepper. Most of the dialogue in the movie has apparently been lifted from the pages of the original novel, which proves once again that something that works on paper doesn’t necessarily work on a movie (a vice-versa or course). Some of the best lines or jokes belong to Jeff Bridges. However most of them felt quite flat to me, nor particularly clever or surprising. Also I have to confess that between Jeff’s mumbling (erm… sorry, acting) and the thick accent, I must have missed quite a few of them. And it looks like I wasn’t the only one in the theatre where I was. Not that it matter a lot. Ultimately the film has a very familiar story, with very familiar characters in a very familiar setting. All too familiar in fact, thus without much emotional drive or drama. It all feels rather cold and it really shouldn’t, because this is certainly not an action film, so it should at least been a character piece. Maybe my tastes are not refined enough, maybe it’s my slight ignorance for John Ford’s movies and my lack of love for John Wayne and Westerns in general, however I can safely say that this is not a movie for everyone. Some people will love it for what it is “a cold and mannered art western” (as the Hollywood Reporter called it), but it is definitely for a more grown up type of audience, certainly not a crowd pleaser in my view. On its defense I have to say that the movie does look absolutely beautiful which is why I am feeling almost a bit guilty in saying that I didn’t like it . It’s almost like saying that I don’t like John Ford. Roger Deakins‘s cinematography rarely disappoints, and certainly in this one it is a work of wonder: from the cold snowy landscapes, to the great wide sunsets. Carter Burwell’s score contains one of the most memorable and hummable tune I can remember this year: it alternates understated cues, emotional piano moments, and grand sweeping themes (to match the widescreen vistas) and yet that too feels like it mainly belongs to a different film. Somehow the emotion that the music tries to raise don’t quite match the stark cold approach to the film. The editing and pace of the movie is all rather slow, once again paying homage to the old Westerns our fathers probably grew up with. It does pick up a bit towards the very end, but to at that point, it is all just too late. Unfortunately as we all know beautiful visuals, big names and a lovely tune can only take you so far, after a while if you’re not engaged with the story or the characters you’ll just find yourself looking at your watch more times than you should, and that’s never a good sign. I must confess I was a bit bored. I agree man. I give it about a 7.5/10 (probably a little bit of Coen Brothers Bias in my score) but it is their first film in quite awhile that I haven’t been excited to see again. it was flat. I was going to see this and, to be fair, I probably still will but as least my expectations won’t be so high now and I may even enjoy it more as a result. I also agree with you about the Coen Brothers, while some of their films are excellent, some are atrocious (The Ladykillers? *head desk*). Excellent blog by the way, I discovered it on your link from http://popcornandcandy.wordpress.com/ (only just started Popcorn last year, very young – embryonic really – but am hoping this year to really get going on reviewing movies and fixing it etc). I agree with a lot of the reviews I have read here so far, which is a nice change from reading Total Film and Empire. I will defo be coming back to check out more of your reviews so please keep up the good work. Thanks so much for the encouraging message. I’ll try to keep up with the good work. 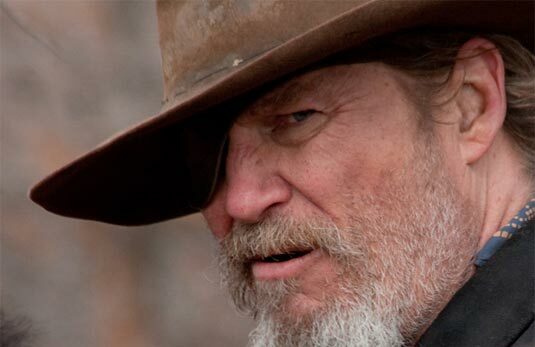 … PS: and do let me know if you liked True Grit. “familiar”? It’s a WESTERN. Easily the most clichéd genre in all of Cinema. And it’s a remake to boot. I have no doubt that I am going to end up disagreeing with you on this one too. At least in some ways. That might well be because of my admiration for the Coens, but I think that you either had your expectations too high or you were in an odd mood. Or is it that you don’t like Westerns? That probably has a lot to do with it. I doubt that this was anywhere near as poor as “Hudsucker Proxy” or “The Ladykillers”. A lot of people disagreed with me, and I do recognize that one of the reasons I didn’t really go crazy for “True Grit” is because I do have a problem with Western movies in general. I know, it’s weakness of mine, and something I should really look into, but I just don’t seem to be able to do much about it. I am sorry: I love the Coen Brothers, and I know I am going to like many more of the movies to come, but this one wasn’t really for me. Good to know that I am not alone.